There are over 20,000+ Anime shows in the world, as shown by the website – MyAnimeList. Many of those Anime are hilarious, funny, full of action and romance. But in today’s list, we’ll focus on 8 thought-provoking Anime shows you need to watch. Each show will have you thinking deep about life, and will change the way you see the world. Code Geass is about a war between Japan and the Holy Britannian empire. And it kicks off when Britannia invades Japan, takes over their country, and renames Japan area 11. 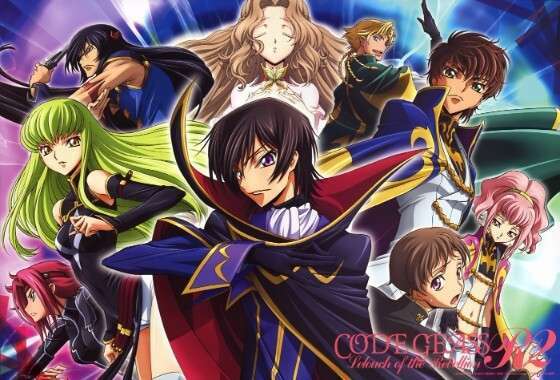 Code Geass is the type of Anime you can’t help be impressed by. The main character, Lelouch Vi Britannia, is intelligent, witty, strategic, clever, and brilliant to say the least. And as the series starts to progress the events that take place will blow your mind, have your jaw on the floor, and even make you angry. You might develop a love-hate relationship for the main characters motives and the method he uses to achieve his goals. But that’s what makes Code Geass such a good series. The Anime kicks off in an area known as – Hinamizawa. An town that’s cursed by the village god – Oyashiro. The main character: Keiichi Maebara has just recently moved to Hinamizawa as the Anime starts. Each year when the festival arrives, someone’s murdered and another person mysteriously disappears into thin air. But what happens in between is nothing short of a psychological experiment. If you’re looking for something mysterious, dark and mind boggling, Higurashi is the Anime show for it. It’ll have you thinking – “how the F did that happen” as each episode progresses. The unpredictability of Higurashi is one of its most attractive elements as far as I see it. 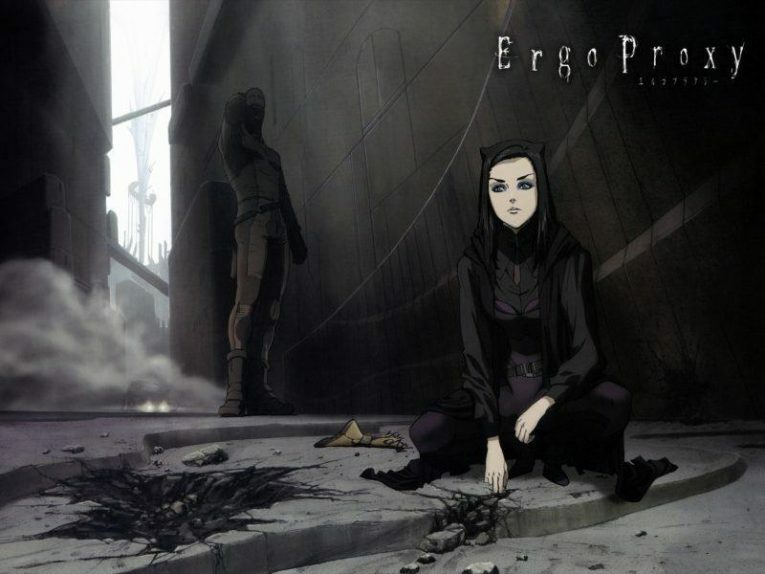 Ergo Proxy is easily one of the strangest, most thought provoking Anime shows I’ve watched. The story starts in a city called Romdo. A city where a catastrophe took place thousands of years ago that endangered the planet. I won’t go too much more into it, I’d recommend you watch the trailer below. Then get into the Anime if it suits your taste. Elfen Lied is about Lucy, a government experiment that happens to escape from her laboratory. This Anime will have you thinking about the cruel side of life, how unfair certain situations are, and just how evil and wicked human beings can be. I warn you. It’s extremely violent, more violent than the average Anime that’s considered “violent”. This becomes brutally obvious after witnessing lots of bloody and depressing scenes. But if you can make it past that, this is a rewarding Anime to watch. And is bound to make you question things in your own life, and society itself. Full Metal Alchemist is an anime about the lives of Edward Elric And Alphonse Elric. Two brothers who after losing their mother, try to bring her back to life with the power of Alchemy. The tool needed to make it happen is The Philosophers Stone. I have to say out of all the anime’s on this list, Full Metal Alchemist is #1 for how thought provoking it is. It not only makes you think with its meaningful quotes, but you’ll see life from a view point you never considered. And you might start using the principles in your own life. A principle they call – The Law Of Equivalent Exchange. Violet Evergarden is named after the main character of this show. Produced by Kyoto Animation. The story follows Violet, and her journey of discovering what it means to “love” someone. After all – her general in the army’s last words to Violet was “I love you”, but she was too uneducated to understand when it happened. Never have I seen an anime capable of being beautiful, stunning, emotional and thought-provoking all at once. It really does make you think: what is love? How do you truly define it? And how do you get over the tragedy of losing a loved one, or worse: taking someone’s life as a soldier in an all out war? That kind of thing is bound to haunt you for life, and it’s clear that Violet is scarred by her dark past she was forced into living whether she liked it or not. Jormungand is about an arms dealer and her bodyguards who travel the world. Arms dealers by their nature fund wars, sell guns to warlords, shady politicians and anyone who works in the underworld. This anime is dark, depressing, but fun and full of adventure. And the fact it’s so realistic is what makes Jormungand so thought-provoking and mind-opening. It’s a good alternative to Black Lagoon, but Jormungand is completely different in how it sells itself and the type of message it gets across. You’d be crazy to NOT give it a try. Monster is a classic series I’ll never forget, produced by Madhouse. It’s about a doctor named Kenzo Tenma. And his journey in discovering that a kid’s life he saved… is actually a serial killer later on. Imagine that – you’re a surgeon and you save a kids life by safely taking a bullet out of their skull. Only to find out that same kid, 10 years or so later is a serial killer. And this is exactly why Monster is so thought provoking and powerful in the way it tells its chilling story. It’s a good alternative to shows like Higurashi, Psycho Pass, Parasyte or Gunslinger Girl. Do you have anymore thought provoking anime to add to this list? Elfen Lied is one of my favorite animes to watch. If you can make it past the gore in the first few minutes, it’s truly rewarding! I loved it! Couldn’t agree more Gloria. It’s a special anime once you get into it!